The rise of Islamic militancy in parts of the Sahel and Horn of Africa poses growing threats to regional stability. The appeal of these militants stems from their ability to tap into and persuade marginalized communities, particularly youth, that their grievances can be rectified by the establishment of a more pure Islamist culture. Despite breakthroughs, Islamic militants in Africa typically do not possess great military power and may not seek to govern at the state level. Rather, they tend to be homegrown phenomena, focused on local concerns. Islamic militant organizations in Africa generally only command the support of small minorities within Muslim communities. However, ill-considered interventions, especially those involving Western forces, can reinforce the militants’ narrative, thereby strengthening their credibility and recruitment. The seizure of more than half of Mali’s land area by Islamic militants, the growing violence of Boko Haram in northern Nigeria, and years of religious-inspired violence in Somalia have heightened attention on Islamic militancy in Africa. In the process, violent clashes between insurgent groups and governments in the Sahel and the Horn of Africa have increased, the armed capacity of militant organizations has expanded, terrorist attacks against civilians including suicide bombings have escalated, militants’ strict moral codes—enforced through stoning and amputation—have been imposed, sacred historical sites have been destroyed, and hundreds of thousands of civilians have been displaced. Militants’ ability to seize and control vast territory for extended periods of time has prolonged and obstructed the process of state-building in Somalia, while in Mali it has severed the northern from the southern half of the country and exacerbated a political impasse in Bamako. Protracted instability in parts of the Sahara-Sahel, furthermore, has the potential to ripple throughout the region. The prospect of the emergence of Islamic militancy and the escalation of tensions elsewhere on the continent is likewise a cause for concern. While the risks of escalation are significant, the gains of these Islamic militant groups are not attributable to their military strength. Rather, their expanded influence is just as much a symptom of fragile and complex political contexts. More generally, Islamic militancy in Africa today represents the intersection of broader trends in contemporary Islam and local circumstances. Responding to the challenge is all the more difficult in that very little is known about these often secretive Islamic groups, some of which have only recently emerged. Islamic militancy is understood here as Muslim groups and movements that, based on religious preferences, seek to enforce religious, social, and political norms through violence. Religious preferences are in turn defined as scriptural-based interpretations viewed by the actors as authoritative. Islamic militancy is, in other words, different from Islamic movements that seek political change through nonviolent means or to promote reforms of a religious nature—through, for example, education and da’wa (proselytizing). It should also be noted that Islamic militancy reflects a minority perspective within the spectrum of Islamic ideologies. Islamic militancy in Somalia first surfaced in the mid-1980s with the formation of al Itihad al Islamia (“Islamic Unity”), which expanded its military operations in the early 1990s. Al Itihad disappeared from the scene after 1996, yet its ideas and main actors continued to play roles in the highly diverse United Islamic Courts (UIC) movement that emerged in the mid-2000s. In 2006, the UIC managed to secure control over Mogadishu for some months before being crushed by the Ethiopian intervention in December of that year. This subsequently gave rise to al Shabaab, which represented a new generation of Islamic militants ever more determined to use violent action to achieve their goals. In addition to waging a guerrilla war that enabled it to gain control over large areas of southern Somalia, al Shabaab added suicide bombing to its repertoire. Several offensives by the African Union Mission in Somalia (AMISOM) and Somali government troops since 2011, later joined by Kenyan and Ethiopian forces, dramatically weakened al Shabaab’s capacity. Recent activities by the group popularly known as Boko Haram (Boko meaning “Western, secular education” in Hausa, and Haram meaning “sinful” in Arabic) have spurred renewed attention to Islamic militancy in Nigeria. The group was established around 2002 by Mohammed Yusuf, a self-educated activist, inspired by the Islamist Muslim Students’ Society of Nigeria1 (MSSN), formed in 1954, and in particular Ibrahim al Zakzaki, as well as by the Salafi scholar Jafar Mahmoud Adam. Yusuf eventually embarked on his own ideological path, distinct from mainstream Islamists and Salafis in Nigeria. Yusuf was actively involved in the enforcement of the shari’a laws introduced in northern Nigeria in the early 2000s, yet soon felt that the process was too accommodating. While Boko Haram repeatedly clashed with Nigerian security forces in a low-intensity conflict beginning in 2003, the violence intensified, following a brief lull, after Yusuf was killed by Nigerian police in 2009. It gained worldwide attention with the suicide bombing of the United Nations’ Nigerian headquarters in Abuja in August 2011, which was followed by attacks on police stations and Christian churches in subsequent years. Boko Haram’s leadership structure since Yusuf’s death remains unclear, yet the group has demonstrated both the will and capacity to escalate its insurgent activities. While political and socioeconomic factors are important, the very fact that these movements define themselves in religious terms makes it imperative to recognize their ideological content. Islamic militancy in Africa is part of a broader, global ideological current. In some cases, this includes links to like-minded organizations outside Africa. Unfortunately, the lack of thorough investigations of such connections often reduces the complexity of such ideological bonds to the diffuse notion of “global Islam.” In fact, contemporary Islam is characterized by increased doctrinal heterogeneity and fragmentation, which inevitably impact the on-the-ground actions of Islamic militants. Groups feature a high degree of selective interpretations of religious tenets, particular local appropriations, and a lack of ideological coherence that propel them on multiple potential trajectories that can be difficult to chart. 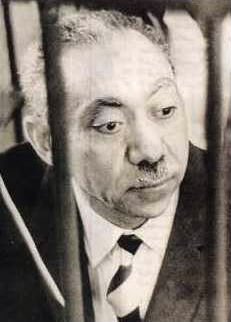 Sayyid Qutb on trial in 1966. In recent decades, trends within Salafism have increasingly called for the establishment of an Islamic political order to achieve its quest for religious purity. This is a result of growing influences from Muslim Brotherhood ideology—particularly from Sayyid Qutb, one of the Egyptian Muslim Brotherhood’s main ideologues. His teachings, which emphasized political engagement, paved the way for further elaborations on the relationships between purity, armed struggle, and political power.6 These influences are clearly visible within al Shabaab, Sahelian militants, and Boko Haram. Specifically, there is the perception that Islam is threatened by contaminating forces, that religious purity is impossible to maintain under non-Islamic political systems, and that the use of violent force is the only recourse. However fragile, both al Shabaab and Malian militants have managed to secure territorial control toward this end. Through the establishment of strict regulations aimed at creating a pious environment, they have destroyed Sufi shrines and curbed “immoral” activities such as smoking, drinking alcohol, and chewing khat through the application of hudud (“restriction”) penalties such as capital punishment, amputation, or flogging. Boko Haram, which has not managed to secure similar territorial control, advocates an identical program of politicized purity—to be imposed on all Nigerians regardless of religious affiliation. Parallel to the expansion of Salafism in Nigeria, a more assertive political Islamism was promoted by the MSSN. This movement was inspired by resurgent Islamist thinking during the 1970s and by the Iranian revolution in 1979, and gained much support among Nigeria’s Muslim youth. Neither the Salafis of this time nor the MSSN, however, were engaged in any form of organized violent political activism. While African Islamic militancy remains interlinked with broader ideological currents, it is clear that circumstances in local contexts have been important catalysts for its emergence and trajectory. These are largely homegrown phenomena, wherein individual Islamic militant groups emerge and evolve from local concerns, are created and run by locally situated actors, and have an agenda that focuses on the immediate context. The Malian government’s failure to consistently invest and maintain a strong state presence in the north, for example, created an enabling environment for the expansion of Islamic militancy and the escalation of violence in this region. Notably, it was local militant Islamists, rather than AQIM, that were behind this escalation and routing of the government forces and MNLA. Similarly, indications are that these militant groups are more concerned with supplanting presumed corrupt regimes and establishing Islamic rule in the local contexts the militants control than waging a broad global jihad as advocated by AQIM. In the same way, the unique political history of Somalia remains important for understanding current developments. Years of authoritarian rule under Siad Barre produced democratic deficits and a weak civil society. As the country collapsed into civil war in the early 1990s, the door was wide open for a range of groups to continually fight one another in a scramble for power and resources. What few observers noticed was that Somalis responded to the violent havoc by flocking to their mosques, finding refuge in religion. This was an important precursor for the gradual politicization of Islam in Somalia. To varying degrees, both the UIC’s and al Shabaab’s struggle for the implementation of Islamic law was aimed at ending the anarchic violence and establishing political stability. Nigeria’s distinctive history is also relevant for understanding Boko Haram’s program. In particular is the legacy of the Sokoto Caliphate—established by Usman dan Fodio after his famous jihad in the early 19th century—and the experience with British colonialism. The caliphate has on several occasions and in different manners been recognized as a source of pride and a historical reference point for those contesting the secular Nigerian state and arguing for the implementation of Islamic law. This was the case for Mohammed Yusuf’s involvement in instituting shari’a in Nigeria’s northern states in 2000. Boko Haram’s aversion to Western education, moreover, is rooted in the colonial period when secular schools run by Christian missionaries emerged. Muslims in the north already had their structures of Islamic teaching and were reluctant to send their children to the new Christian schools. The fear that such secular education would lead students away from Islam is now being revived in Boko Haram’s calls for boycotts. Another important and often overlooked factor is ethnicity. 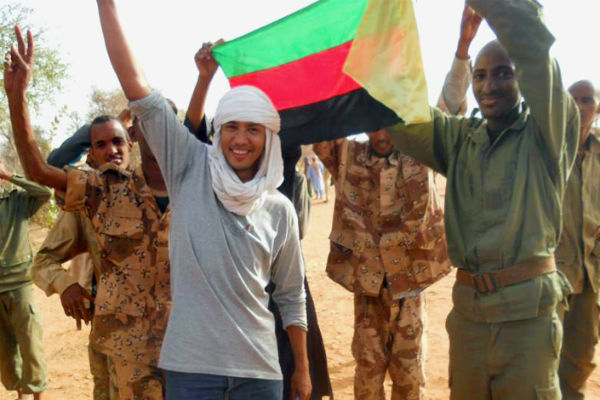 While the MNLA has an explicit ethno-nationalist identity, the other Islamic militant groups in Mali have their own ethnic constituencies, including Sahelian Arabs and Tuareg subclans. For instance, there are claims that ethnic boundaries are complicating relations between the Malian militants and the Algerian-dominated AQIM.7 The former’s objective of establishing an Islamic state may be less expansive and could remain confined within territories defined by ethnicity. Islamic militancy in Somalia is similarly connected to Somali nationalism, which in turn is related to regional politics. UIC’s high-profile declaration of jihad against Ethiopia in 2006 had a clear ethno-nationalist character, stating that “we will leave no stone unturned to integrate our Somali brothers in Kenya and Ethiopia and restore their freedom to live with their ancestors in Somalia.”8 For al Shabaab, then, the notions of an Islamic state and the Somali nation dovetail and are perceived to be threatened by “infidel” neighboring powers. Indiscriminate action to combat Islamic militancy could also radicalize a local context and lead to escalation. Blanket labeling of all Islamic movements as militant coupled with unsophisticated and repressive measures risk generating a deeper discontent that could translate into violence. A recurrent problem has been that less democratic regimes, such as Ethiopia and Uganda, issue “anti-terror” legislation to crack down on a range of opposition groups. Meanwhile, Western attempts to combat terror have shown little understanding of local dynamics. If movements without any political agenda or any disposition for militant activism are targeted, local support for militancy could easily escalate. The broad-brush branding of UIC as an Islamic militant threat, leading to the Ethiopian intervention in 2006, was crucial for paving the way for the emergence of al Shabaab and for further radicalizing developments in Somalia. Therefore, responses to Islamic militancy in Somalia, Nigeria, and northern Mali or in other African contexts where the challenge is less advanced should be considered carefully so as not to exacerbate the situation. Conflicts also tend to take on a life of their own. Accordingly, repressive measures from political regimes or external actors could bring Islamic militants to fight for their very existence, intensifying violence. Such measures could, at the same time, serve to confirm views on the illegitimacy of the state, adding fuel to an insurgency fire. In the case of Boko Haram, the accelerating conflict with the Nigerian police and security forces has led to an expansion of Boko Haram’s objectives and tactics. The quest for revenge after the killing of Mohammed Yusuf and anger over the police’s alleged abuse of force in its dealings with Boko Haram members have been important drivers in the escalation of the conflict. The emergence of contemporary Islamic movements, both violent and nonviolent, has often been seen as a response to prevailing poverty, unemployment, and socioeconomic deprivation. While economic and social factors clearly are relevant, they remain insufficient for explaining such a complex phenomenon. While such organizations draw many of their members from among the poor, militant messages are typically rejected by the vast majority of the downtrodden. At the same time, Islamic militants attract some supporters from the middle class and the affluent, including professional organizations and study groups organized at universities. While the rank and file of Islamic militant movements may be socially mixed, a noticeable commonality is the strong presence of youth. This would at the outset fit the thesis of socioeconomic deprivation, as youth constitute the demographic group suffering most from unemployment and bleak economic prospects. African youth, moreover, are not only marginalized economically, but often alienated from their cultural contexts and burdened by questions of identity and belonging. Contacts with Salafi or Islamist groups and exposure to charismatic leaders, such as Boko Haram’s Mohammed Yusuf, frame this alienation in religious terms, in which Islam is presented as the all encompassing, powerful, and only solution. Both local circumstances and global events are presented as evidence of a world threatening Islam and contradicting the will of God. In addition to being the only option for salvation, membership in Salafi or Islamist movements—whether militant and nonmilitant—also represents a source of empowerment. These groups may not bring an end to poverty or provide jobs, but they give disgruntled youth an alternative universal model for belonging and for social action in which disillusion is exchanged for dignity and marginalization with meaning. Moreover, the emphasis on purity and morality, coupled with the notion of an exclusive access to the truth, generates attitudes of superiority. This, in turn, produces rigid boundaries toward those on the opposite side. “Others” are seen both as threats to religious purity and as targets for expansionist activities. When such thinking is cultivated in tight-knit groups with strong leaders, the road to militancy and violence can easily be a short one. Local contextual factors are also significant for recruitment into Islamic militancy. Al Shabaab, for example, saw a dramatic increase of support during the Ethiopian intervention in 2006. Perceived as Somalia’s historical archenemy and framed within the region’s particular legacy of Christian-Muslim relations, the motives for the struggle against the “infidel” Ethiopians were thus a combination of nationalist and religious fervor. When the Ethiopians withdrew, recruitment to al Shabaab plunged. In northern Mali, the intertwining of Islamic militancy and illicit smuggling has produced a complicated mix of incentives.9 While details remain opaque, it is known that Mokhtar Belmokhtar, the emir of AQIM, has utilized smuggling revenues in the Sahel as a source of support for AQIM since the early 2000s. Smuggling, moreover, has long been an integrated part of the Sahel’s informal economy, involving disparate actors and motives, producing a situation where religious zeal fuses with the prospects for economic profit. The most notable feature of Islamic militancy’s evolving role in Africa is these groups’ ability to take control over large expanses of territory. This provides them the operational space in which to implement their radical ideologies. While pressure on al Shabaab from AMISOM has reduced the movement’s capacity, the territorial expansion of Islamic militants in Mali poses serious far-reaching challenges. The risk for prolonged insecurity in this region, in turn, may provide a haven for a range of destabilizing elements. At the same time, maintaining control over large geographic areas, including towns and cities, represents a significant governance challenge for Islamic militants in both Somalia and Mali that they have not previously faced. While establishing control over large areas through the use of force may be achievable, it is another matter to manage such areas politically and to provide basic and sustainable services to the population—an important factor in the popular support of groups like Hezbollah and Hamas. In contrast, al Shabaab has only to a limited degree succeeded in this. The blocking of assistance for a famine-stricken population coupled with bans on smoking, watching TV, and, in particular, consuming khat have produced widespread resistance among the Somali population. Moreover, the determination of Ansar al Din, al Shabaab, and MUJWA to forcefully secure religious purity through literalist implementations of the shari’a could easily become counterproductive. In short, these militants are not operating with a deep base of popular support. The destruction of Sufi shrines, stoning of alleged adulterers, and punitive amputations have sparked protests in both Somalia and Mali and further reduced the militants’ scope to govern. In military terms, Islamic militancy in Africa does not constitute a major threat. Al Shabaab possibly commands a few thousand soldiers, Boko Haram may have a few hundred members, while the various militant groups in Mali probably count for less than a thousand each. However, the level of casualties, suffering, violations of human rights, and potential for escalation of violence make it imperative to address Islamic militancy in all its seriousness. The pertinent challenge in these advanced contexts is to identify measures that can both restore order in the short term as well as demonstrate sensitivity to local complexities. The overarching objective must be to prevent further radicalization of Muslim populations and to duly address concerns that may have produced militancy in the first place. Much of the dialogue surrounding the risks posed by Islamic militants is shrouded by highly incomplete information. There is a need to gather in-depth knowledge and credible information on Islamic militant movements and the contexts in which they appear. This includes information regarding the rhetoric of Islamic militants and the local issues on which they are mobilizing support. This requires drawing on individuals with detailed local knowledge and long-term experience with a given context. It should entail analysis that captures more than the immediate security dimensions but integrates historical, political, economic, and sociocultural perspectives. The goal would be to gain nuanced and differentiated knowledge that identifies the prime instigators of violence and advances a deeper understanding of how militant movements intersect with critical issues pertinent to each given locality. Relevant to various contexts in Africa is the need to proactively engage local community leaders and religious authorities in conversations about pressing needs and concerns. Rather than branding all emerging demands as part of the “radicalization” of Islam, a range of voices need to be heard. Grievances borne from under-representation, marginalization, and alienation need to be acknowledged. This will often entail careful processes of confidence-building—between governments and Muslim groups—across religious divides and among different ethnicities. Local and national governments need to properly recognize such grievances and be prepared to pursue more inclusive policies that would enhance political participation and broaden citizens’ affinity with the state so as to deter the formation of militancy. As this obviously represents a tremendous challenge for fragile states and for those with weak democratic credentials, regional and international partners should sustainably and adeptly support such efforts. However difficult, sustained efforts should be made to engage Islamic militants in dialogue in order to find peaceful solutions to ongoing conflicts. Militant movements are often internally diverse and could possibly follow a trajectory of moderation.10 The objective would be to identify such moderate elements and seek out avenues for negotiations that duly recognize the complexity of each context. This would obviously entail a delicate balance between holding militants accountable for crimes and violations of human rights and applying pragmatic approaches that could restore order and security. The use of force in areas such as Somalia and Mali constitutes a major dilemma. While the involvement of regional actors, such as AMISOM, may be effective in the short run, the longer-term implications remain to be seen. Military intervention in the Sahel needs to be carefully considered, yet may be necessary to secure stability and prevent further escalation of the violence there. Preferably, military engagement would be undertaken by national authorities. However, in practical terms the governments in Somalia and Mali have been unable to provide an effective military response. This has pointed to the need for external involvement. Military action, however, needs to be accompanied by long-term political and economic engagement if it is to secure lasting peace and stability. This will require being responsive to the pressing priorities of each locality so as to maintain popular support. The limited legitimacy of al Shabaab and the Malian militants may thus provide a potential advantage to such stabilization efforts. At the same time, genuine state-building efforts are required to secure local participation, facilitate real democratic institutions to hold local regimes accountable to the people, and deal with internal ethnic, social, and religious grievances. ⇑ “The Popular Discourse of Salafi Radicalism and Salafi Counter-radicalism in Nigeria: A Case Study of Boko Haram,” Journal of Religion in Africa 42, no. 2 (2012). ⇑ “General Thoughts on the Tuareg Rebellion and AQIM” The Moor Next Door, April 1, 2012. ⇑ Bernard Haykel, “On the Nature of Salafi Thought and Action,” in Global Salafism: Islam’s New Religious Movement, edited by Roel Meijer (London: Hurst, 2009). ⇑ Baz Lecocq and Paul Schrijver, “The War on Terror in a Haze of Dust: Potholes and Pitfalls on the Saharan Front,” Journal of Contemporary African Studies 25, no. 1 (2007). ⇑ David Cook, “Boko Haram: A Prognosis,” James Baker III Institute for Public Policy of Rice University, December 2011. ⇑ Quintan Wiktorowicz, “Anatomy of the Salafi Movement,” Studies in Conflict & Terrorism 29, no. 3 (2006). ⇑ “Opportunities Taken in Mali: Ethnic Dimensions & Additional Explanations on the Emergence of MUJWA,” The Moor Next Door, April 12, 2012. ⇑ Mohammed Olad Hassan, “Islamic Leader Urges ‘Greater Somalia’,” Nazret.com, November 19, 2006. ⇑ Cédric Jourde, Sifting Through the Layers of Insecurity in the Sahel, ACSS Africa Security Brief No. 15 (Washington, DC: National Defense University Press, September 2011). ⇑ Zachary Devlin-Foltz, Africa’s Fragile States: Empowering Extremists, Exporting Terrorism, Africa Security Brief No. 6 (Washington, DC: National Defense University Press, August 2010). Dr. Terje Østebø is an Assistant Professor at the Center for African Studies and the Department of Religion, University of Florida.